Cattle grazing on a sandy prairie. 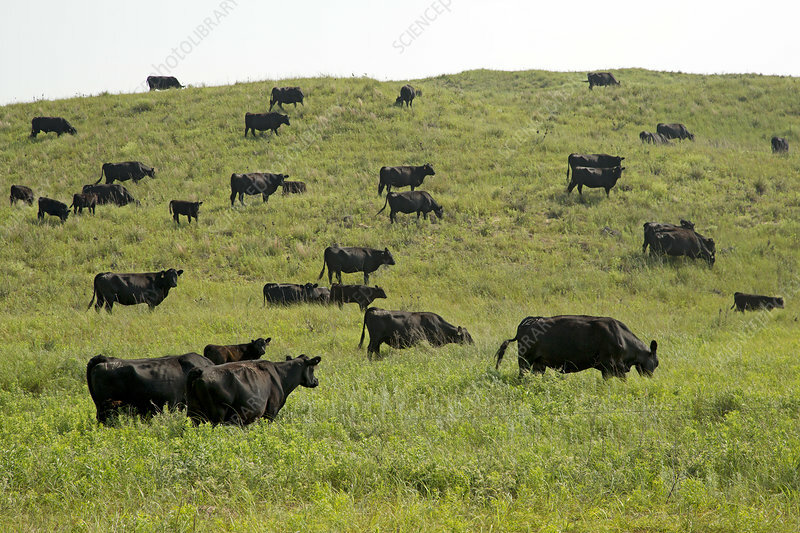 Domestic cattle grazing in a wildlife refuge where they are used to replicate the role that bison formerly played in this sandy prairie ecosystem. These are the Angus breed of beef cattle. Photographed in July 2015, in the sandhills of Nebraska in Valentine National Wildlife Refuge, near Valentine, Nebraska, USA.